Dark Horse's gorgeous new Hellboy action figure is already insanely impressive, but now you can get a look at the Mike Mignola artwork that inspired it. Mignola happens to be the creator of Hellboy, so its fitting that his art would grace the box of Dark Horse Direct's new articulated action figure from 1000 toys. 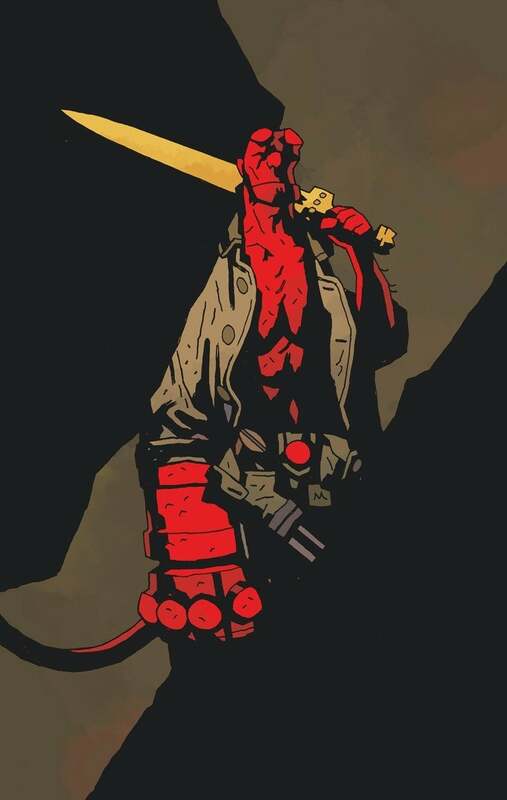 The new figure looks ripped from Mignola's art, and fans will get original artwork when they buy it, art drawn by Mike Mignola and colored by Dave Stewart made exclusively for the box of the 1000toys Hellboy Action Figure. You can check out the art and more shots of the figure itself in the gallery. 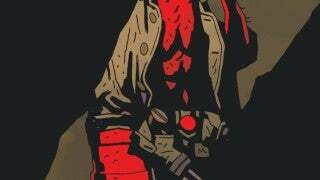 The pre-order cutoff date for the Dark Horse Direct exclusive version of Hellboy has been set for November 30th, 2019 at 111:59 and retails for $119.99. Visit Direct.DarkHorse.com for ordering and product information, including the newly added international territories Dark Horse is now servicing. The new figure comes in at 7.5 inches tall and features several swappable hands and that deadly Excalibur sword. The jacket is removable too, and you can find out even more about the figure in the official description below. "If you love Hellboy as much as we do, you NEED this in your life. Dark Horse Direct, alongside creator Mike Mignola and 1000toys, are proud to present the fully articulated, 1/12th scale Hellboy action figure of your dreams. Made from PVC and standing at 7.5” tall, this stellar Hellboy figure comes with interchangeable Beast of the Apocalypse head, closed fist hand, open hands for holding other accessories, separate gun, Excalibur sword, and removable cloth jacket. Produced by 1000toys, this version is exclusive to Dark Horse Direct and the edition size will be limited to the number of pre-orders taken, in a one-time production run never to be reproduced. Feel fully qualified to embark on your own paranormal investigations with this full-fledged member of the B.P.R.D. at your side!" The Hellboy figure retails for $119.99 and is set to ship between May and July of 2019.